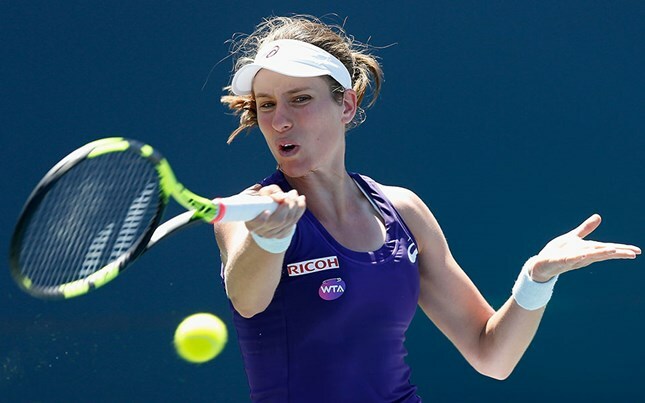 STANFORD, Calif. – Johanna Konta captured her first career WTA title in thrilling fashion, outlasting top-seeded Venus Williams 7-5, 5-7, 6-2 on Sunday afternoon in front of 2,268 fans at the Bank of the West Classic at Taube Family Tennis Stadium. The third-seeded Konta, who entered the tournament as the highest-ranked player without a WTA title, was also appearing in her first career final after reaching the semifinals at the Australian Open and Eastbourne. Konta became the first British woman to claim the Bank of the West Classic championship since 1977, when Sue Barker defeated Virginia Wade in an all-British final. Projected to rise to No. 14 in next week’s WTA rankings, Konta upended No. 2 seed Dominika Cibulkova 6-4, 6-2 one day earlier in the semifinals to cap an impressive Bank of the West Classic debut. Bidding to lift the trophy at Stanford for the third time overall and first since 2000, Williams was also chasing her 50th career singles title. Williams, who is projected to climb to No. 6 in the WTA rankings, had won her previous two matches in straight sets after opening the tournament with a three-set victory. Sunday’s marathon match, which lasted two hours and 18 minutes, was also the 14th three-setter of the tournament. After Williams had won back-to-back games to even the first set at 5-5, Konta responded by winning the next two games. Williams then battled back in the second set, ripping off four straight games after facing a 4-1 deficit. Tied at 5-5, Williams won the next two games to force a deciding frame. Konta, who fired off 11 aces, controlled the third set, moving in front 3-1 before closing out the final three games. Konta is the fourth different tournament winner in the last six years, joining Angelique Kerber (2015), Serena Williams (2011, 2012, 2014) and Dominika Cibulkova (2013). ABOUT THE BANK OF THE WEST CLASSIC: The Bank of the West Classic is the longest-running women-only professional tennis tournament in the world and is the first stop of the Emirates Airline US Open Series. 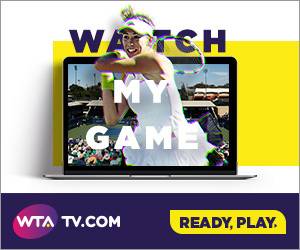 Owned and operated by IMG, the WTA Premier event features a 28-player singles draw and a 16-team doubles draw with total prize money of $846,000. Held on Stanford University’s campus at Taube Family Tennis Stadium since 1997, former champions include: Billie Jean King, Chris Evert, Martina Navratilova, Andrea Jaeger, Monica Seles, Martina Hingis, Lindsay Davenport, Serena Williams, Venus Williams and Kim Clijsters. ABOUT THE EMIRATES AIRLINE US OPEN SERIES: The world’s best players on the WTA and ATP World Tour are coming together for the Emirates Airline US Open Series, now in its 13th season. Linking seven summer WTA and ATP World Tour tournaments to the US Open, the Emirates Airline US Open Series serves as a true regular season of hard court tennis. In 2014, Serena Williams won the US Open and Emirates Airline US Open Series women’s title for the second consecutive year, earning a record tennis paycheck of $4 million. Rafael Nadal (2013), Roger Federer (2007) and Kim Clijsters (2005) also accomplished the feat of winning the Emirates Airline US Open Series and US Open singles title within the same year.